Tested, in great working condition. See pictures and green on-lights for reference. 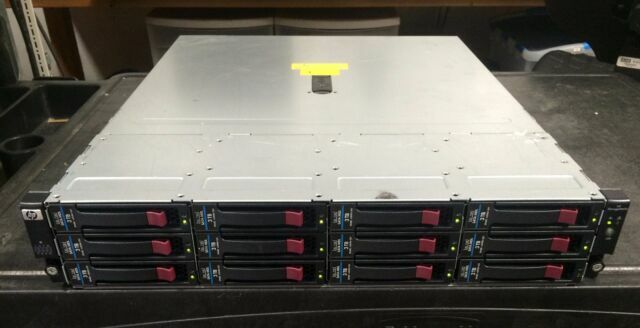 1x HP StorageWorks - P/N: AJ940A. 12x HP 3TB 3G 7.2K SATA Hard Drive - P/N: 628059-B21, 628180-001 & 638516-002. 2x HP Fan Modules - P/N: 335535-001. 1x HP Rail Kit - P/N: 451459-003.